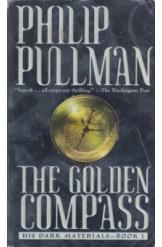 The Golden Compass His Dark Materials Book 1 by Philip Pullman, science fiction, book in good condition, all pages intact. Lyra runs wild among scholars at Jordan College, hears talk about Dust and is drawn in to a terrible struggle. She suspects the shocking truth that her destiny must be filled in a world far beyond her own.